Lykke is the Danish word for “happiness”. 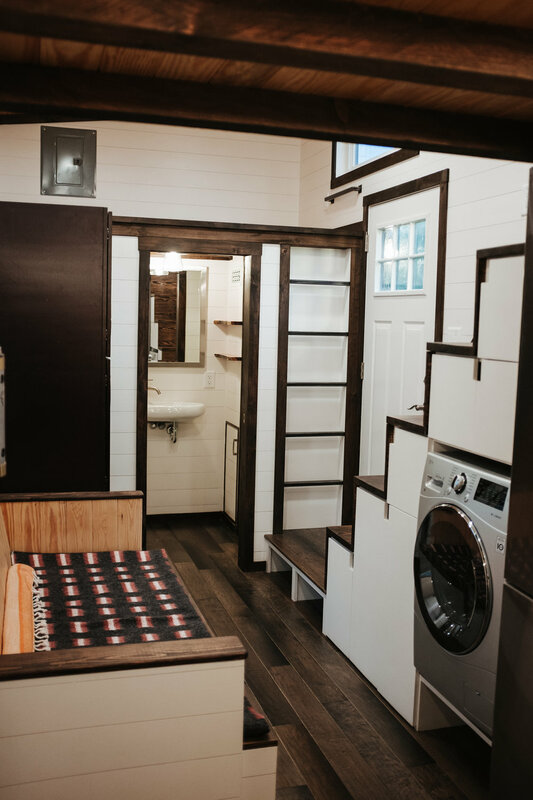 The interior of this 24 ft tiny home on wheels was inspired by the cozy Danish Hygge movement. 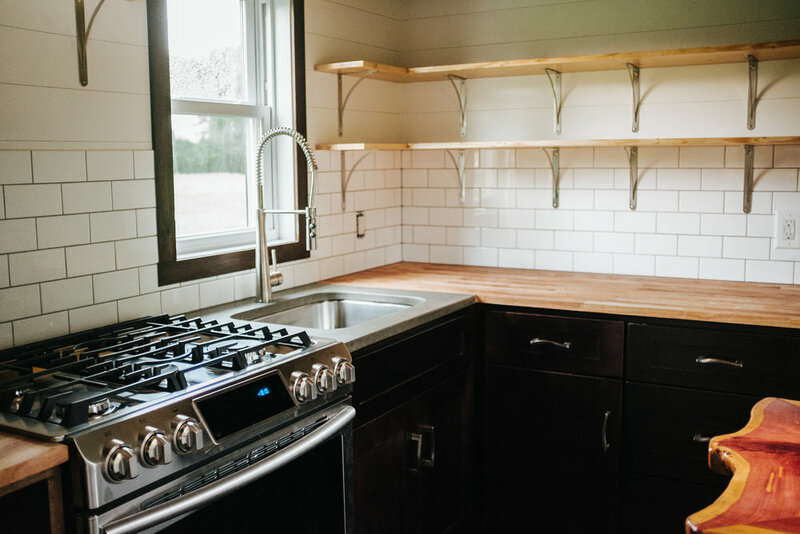 The owner picked a warm interior gray color to contrast to the cooler blue of the custom cabinets. 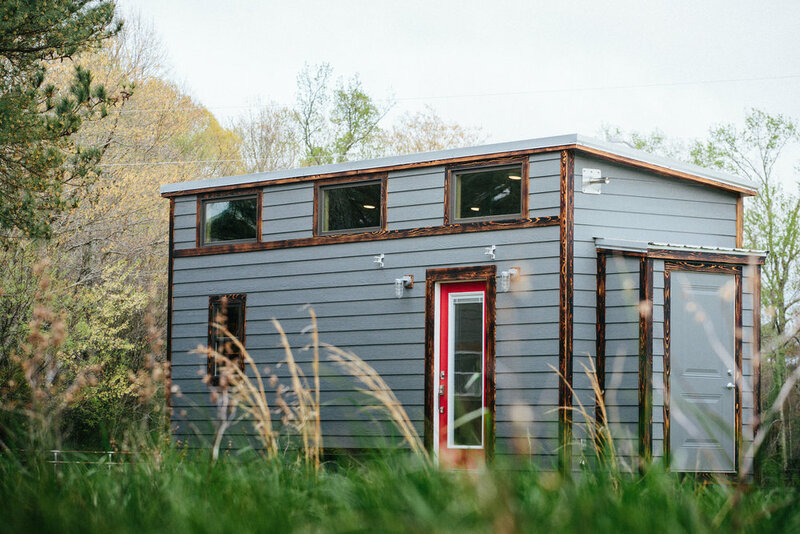 We are especially excited about how well the Lykke tiny house was nestled into the woods. 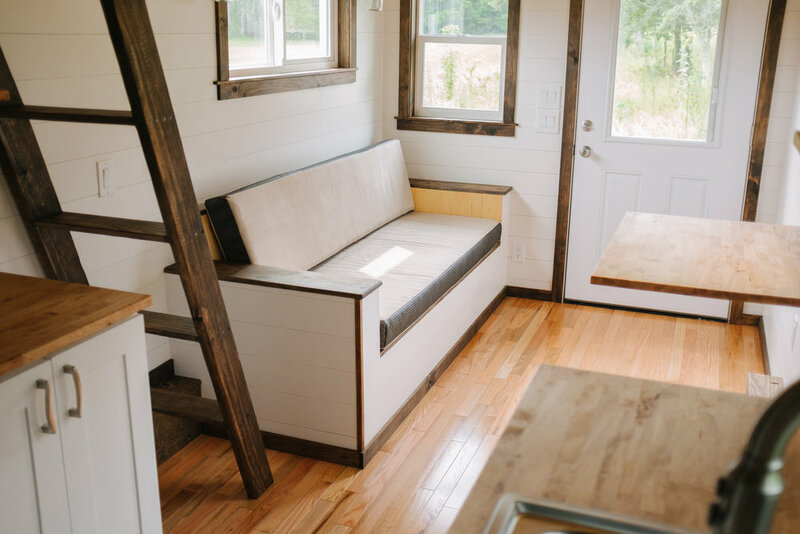 Click on one of the pictures below to see the full gallery plus pictures that showcase a prime example of how to properly situate and skirt a tiny home for a semi-permanent resting place. The 32’ Lupine has plenty of windows for taking in the view. 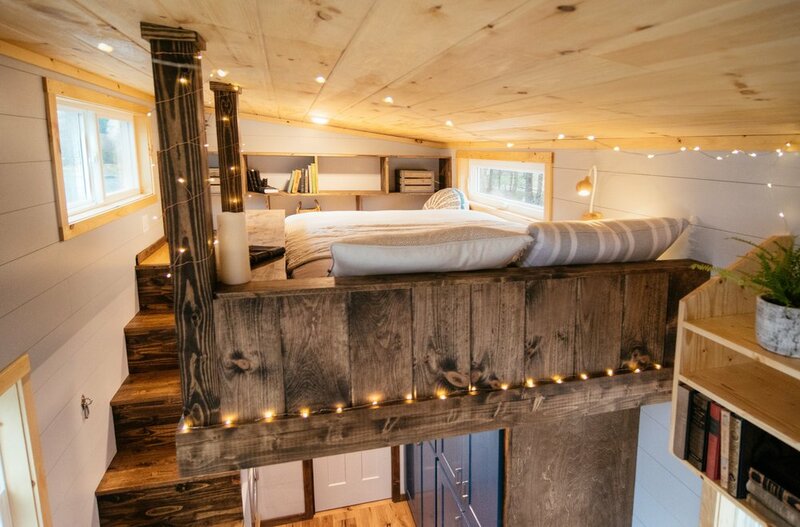 The second loft has no partition and there are open shelves in the master bedroom up high in the neck of the trailer. These design aspects were meant to give the Lupine a more spacious feel. 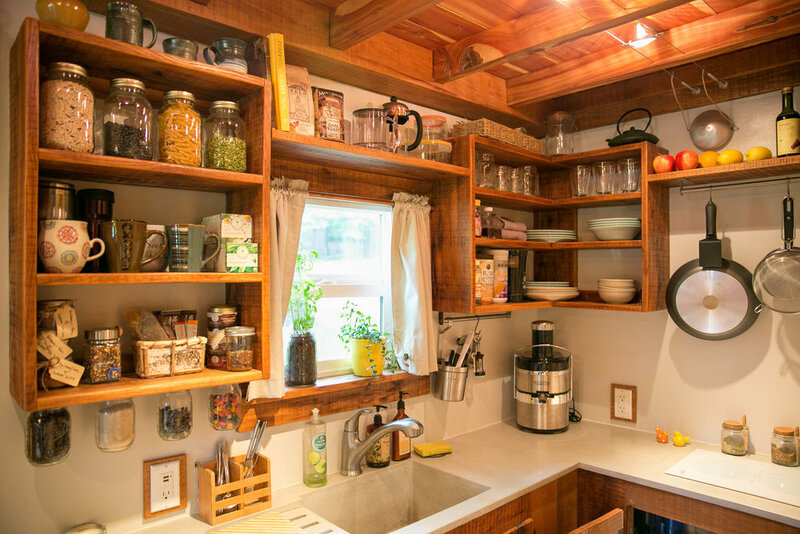 This house is packed with customization some of it directly from the owner. For the bathroom and kitchen, however, we were given a vision for the look-and-feel they wanted and we brought it to reality. Click the pictures below for a full photo gallery. 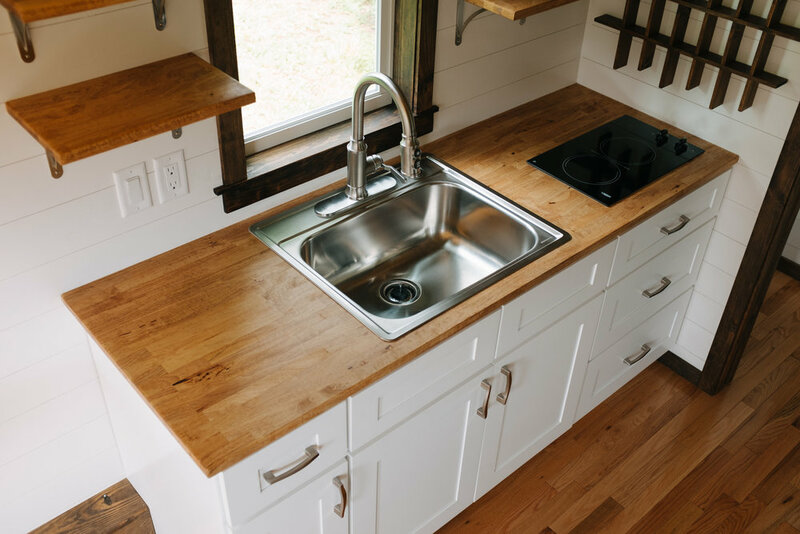 The 28' Noah blends form and function to create a tiny home that is as beautiful and timeless as it is spacious and livable. The Noah features a main floor bedroom and a unique roofline. 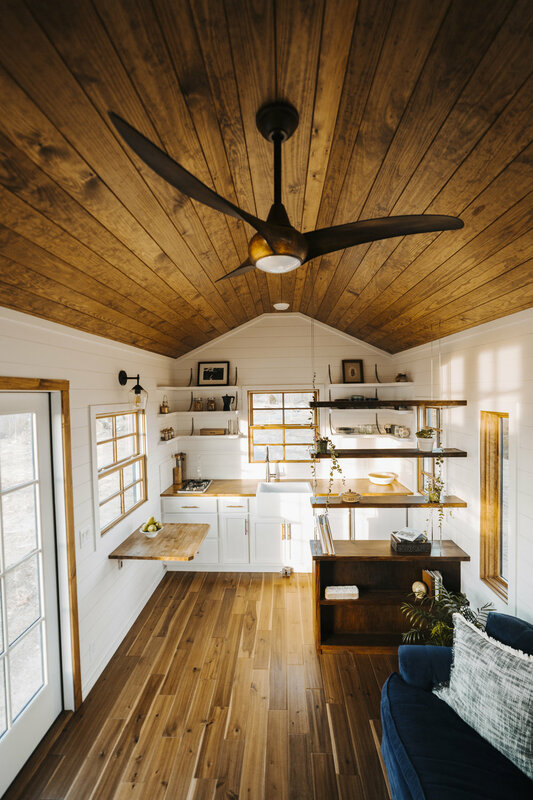 The 26' Silhouette tiny house balances rustic charm and industrial chic seamlessly and was built with panoramic views in mind. 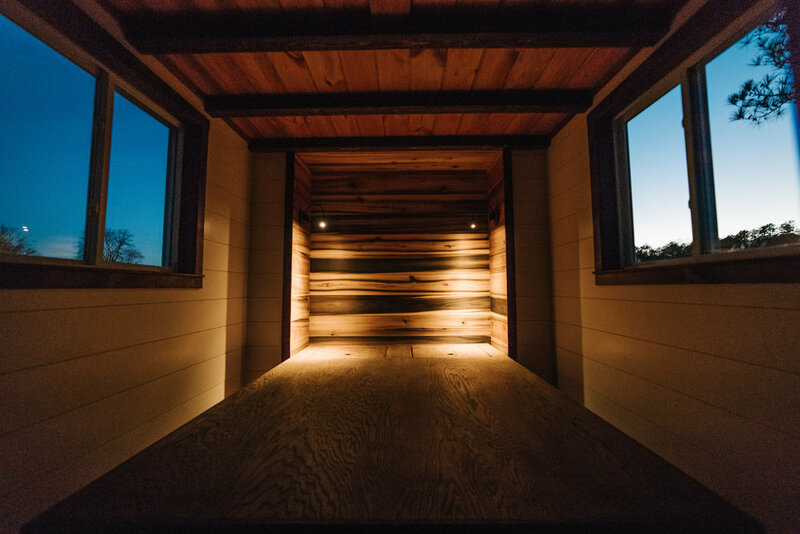 The 24' Acadia shares some rustic DNA with our original Wind River Bungalow but features a more modern twist on the inside. 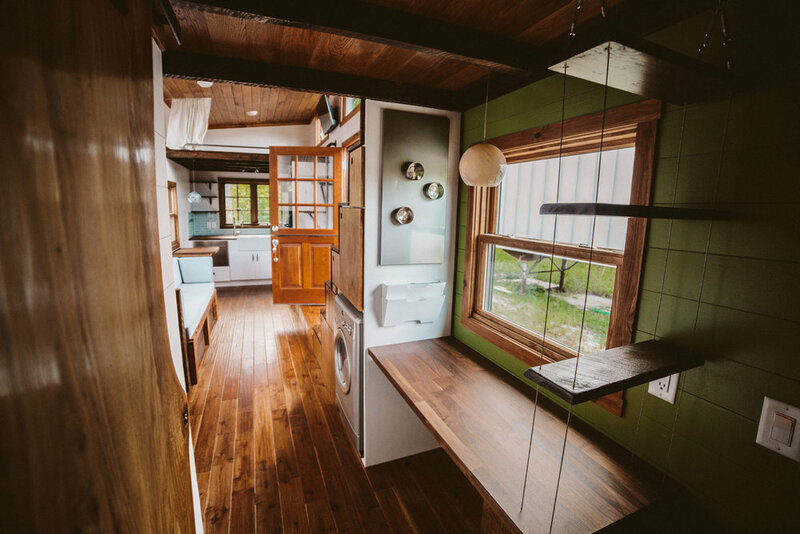 This whimsical 30' tiny home offers two spacious loft bedrooms, cat friendly features, lively colors, and complete off-grid capabilities. 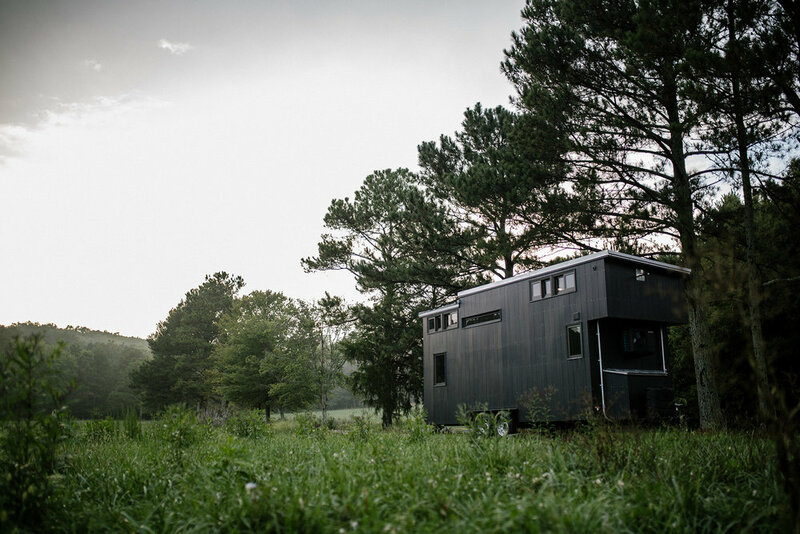 The 24' Ironclad tiny home started out as a hybrid of two of our past builds, The Chimera and The Rook, but ended up taking on a life of it's own. 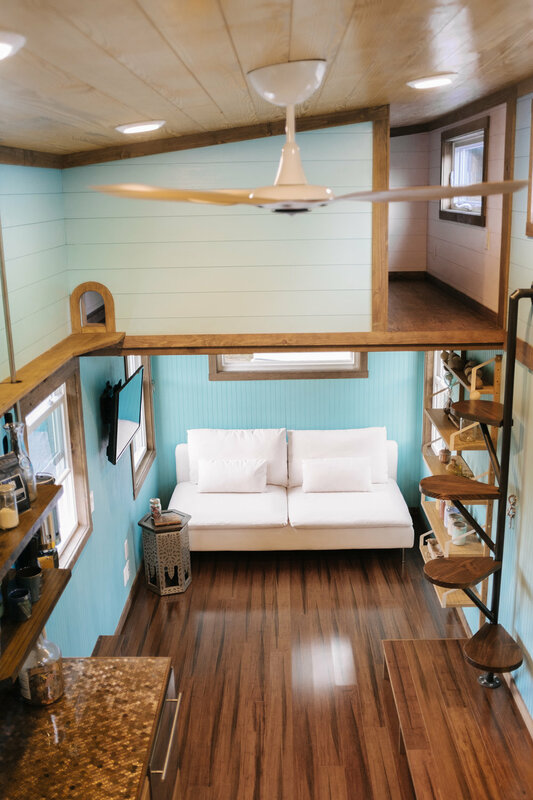 This 24' tiny home is built 10' wide to accommodate a bed on the main level while still keeping a spacious feel. 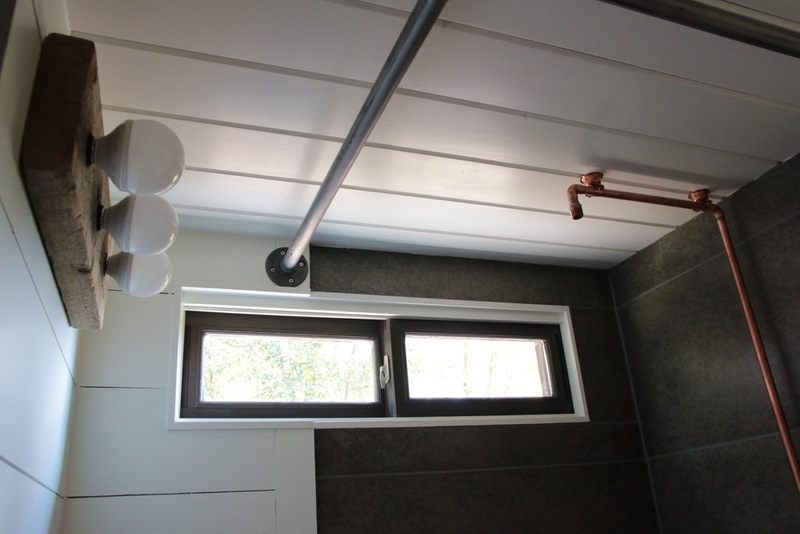 The bathroom of the Monocle is customized with a transitioning wood base for the bathtub, round window, and wet bath. Industrial, modern, moody and full of custom details. 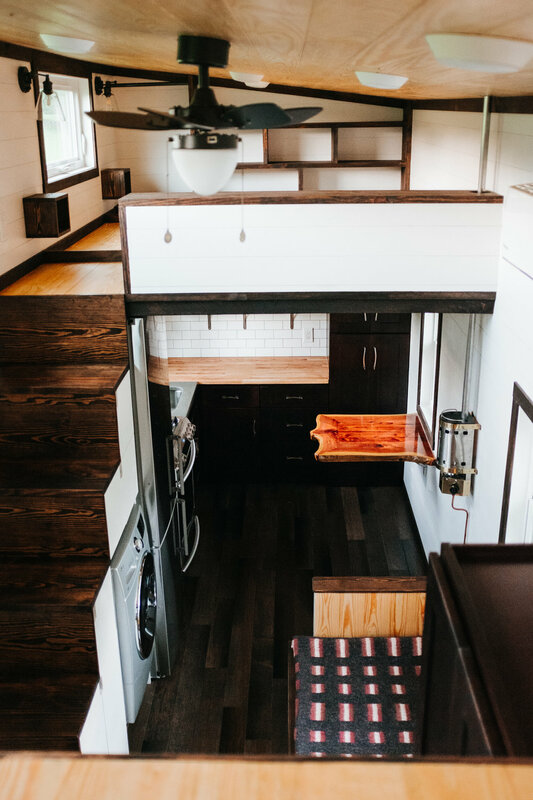 This 22' tiny home has a cantilevered loft, bump out window seat, and full off-grid solar system. 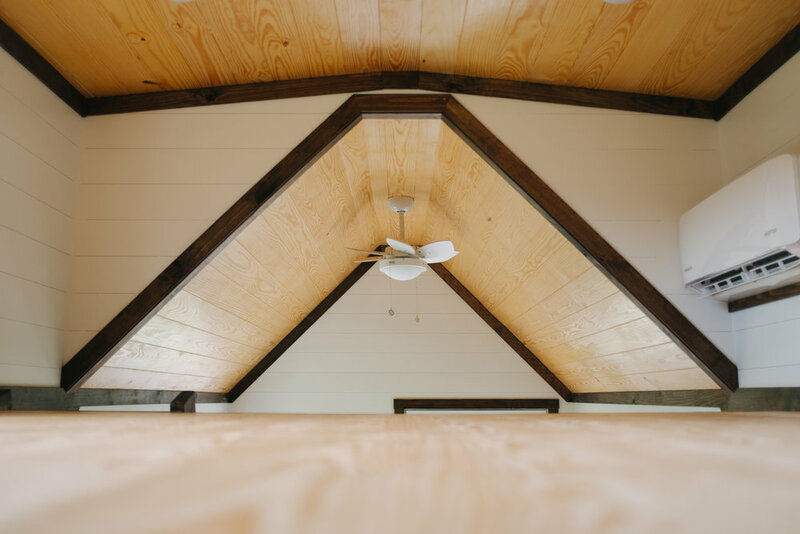 Maximizing space and combining both a beautiful kitchen and a functional workspace into an elegant 30' home with 2 lofted bedrooms. 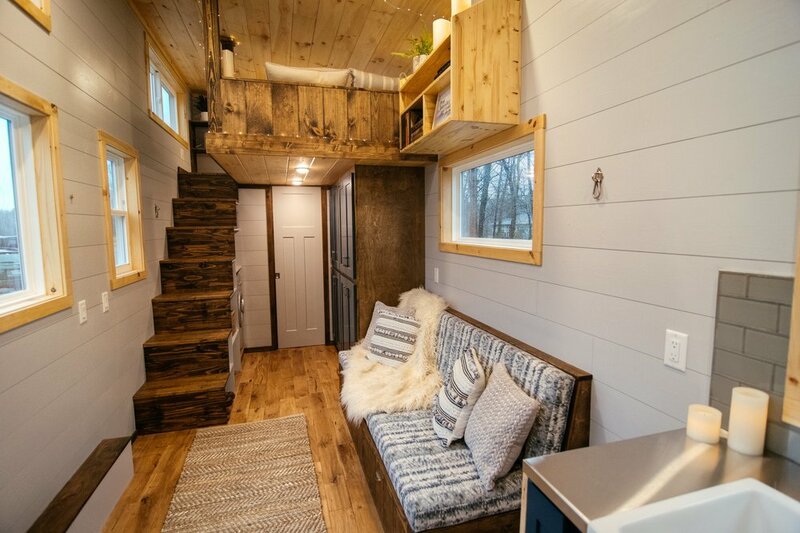 Unique and budget friendly, this 26' tiny home is made for full-time living, complete with a private office and walk in closet. 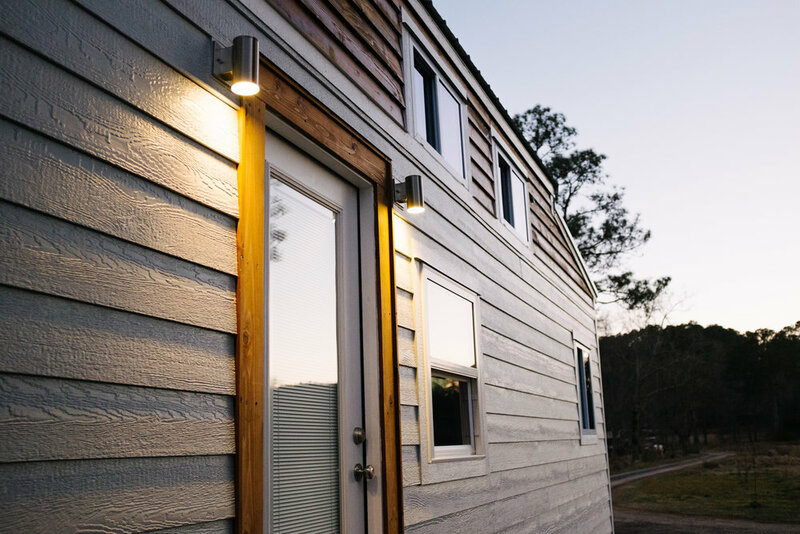 This 24' modern/rustic/industrial tiny house, complete with hybrid solar system, is an amalgamation of styles that blended seamlessly to create a functional masterpiece. 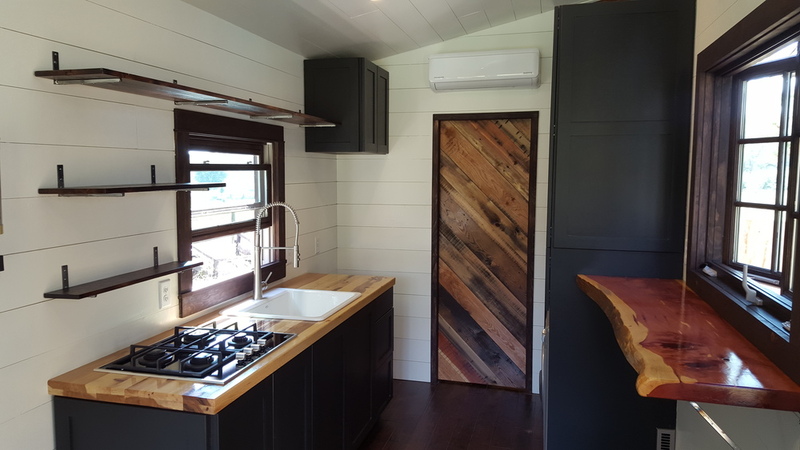 A charred wood exterior with modern vibes and rustic accents is what defines this 32' gooseneck tiny house. 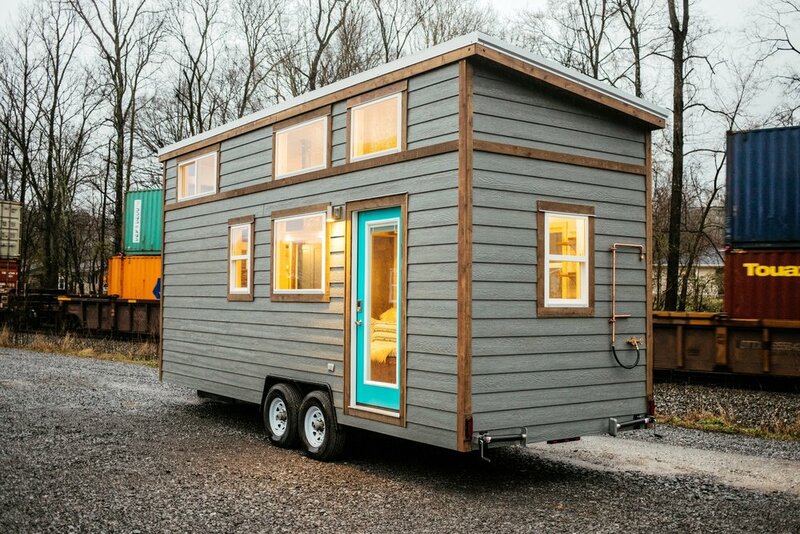 Our first tiny home and flagship design. 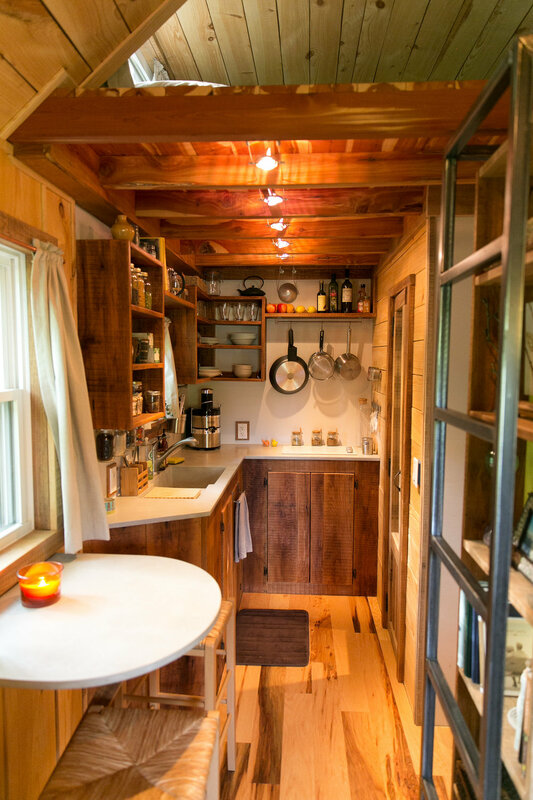 this 18' rustic gem (designed, built, and inhabited by Travis) remains one of our most popular tiny houses.